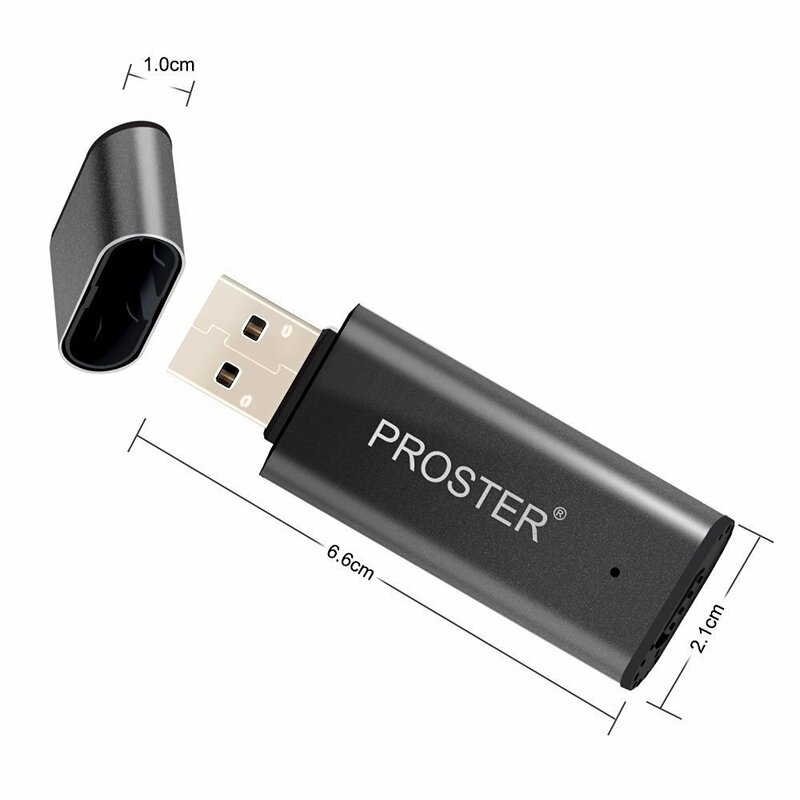 2 Modes, 2 Functions — Can be used as a USB 2.0 Flash Drive Memory Stick for files OR a 8G Voice Recorder for recording. 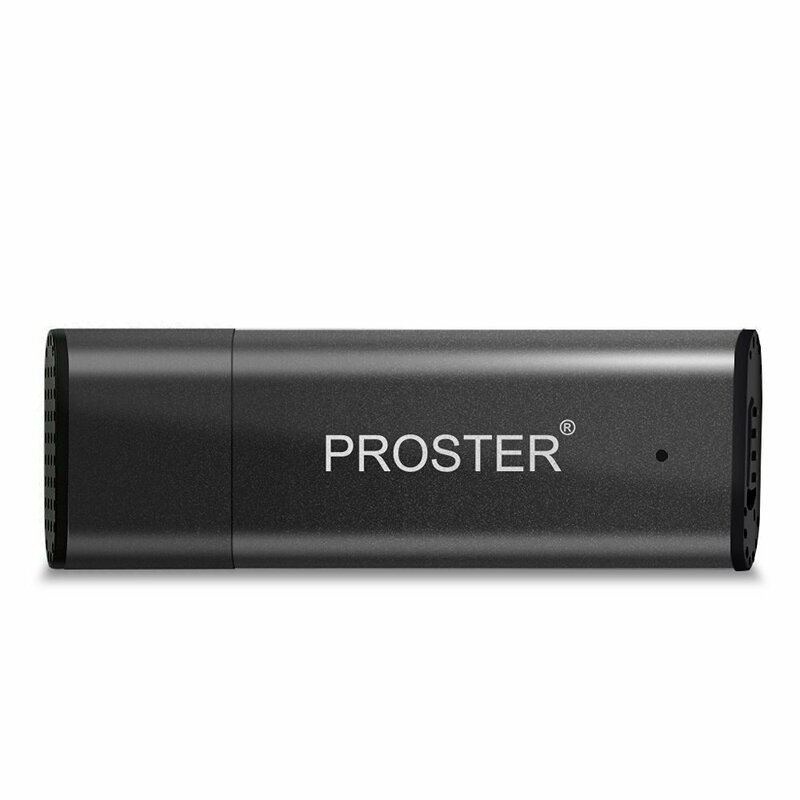 Capture Crystal Clear Audio — 384Kbps provides you high-quality recording. 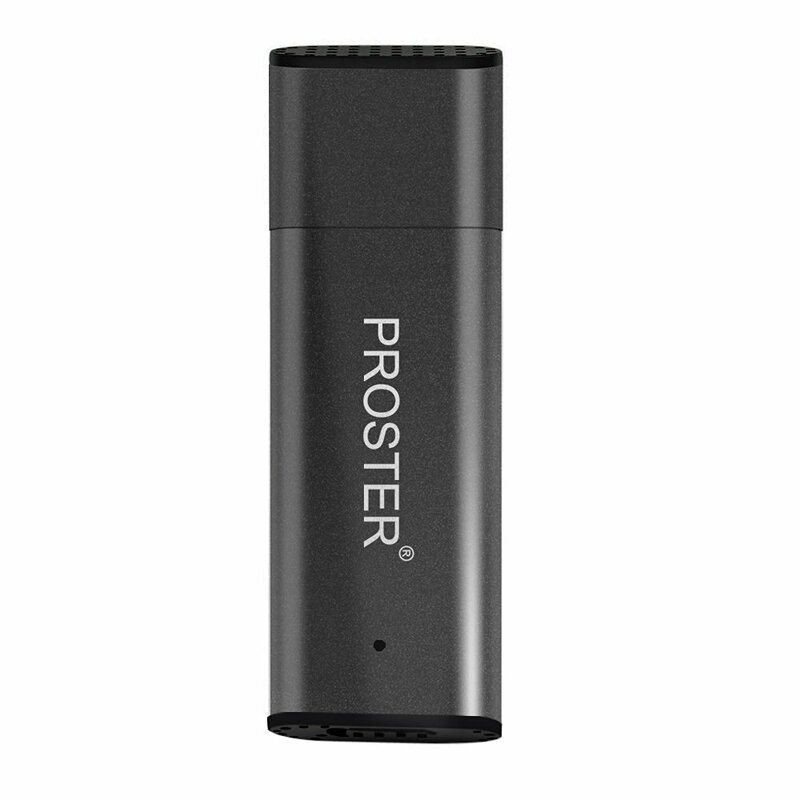 Lightweight and Small — 20g and 65*22*9mm, Portable and convenient for you to record whenever or wherever you are. 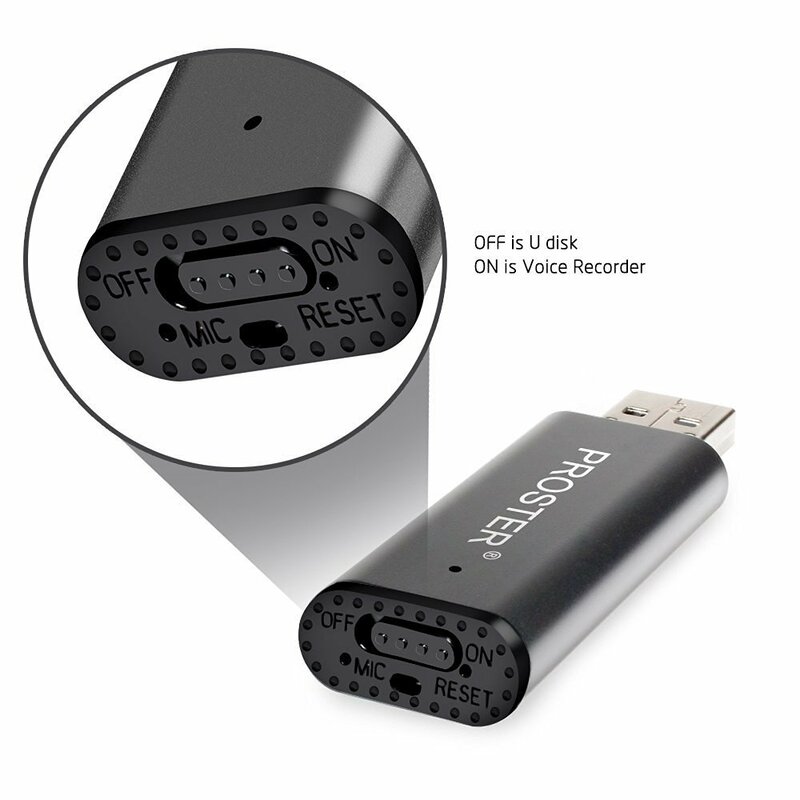 Reset Button — There is a "Reset" Button on the Buttom, so you can delete all your data, and restore the factory default settings. 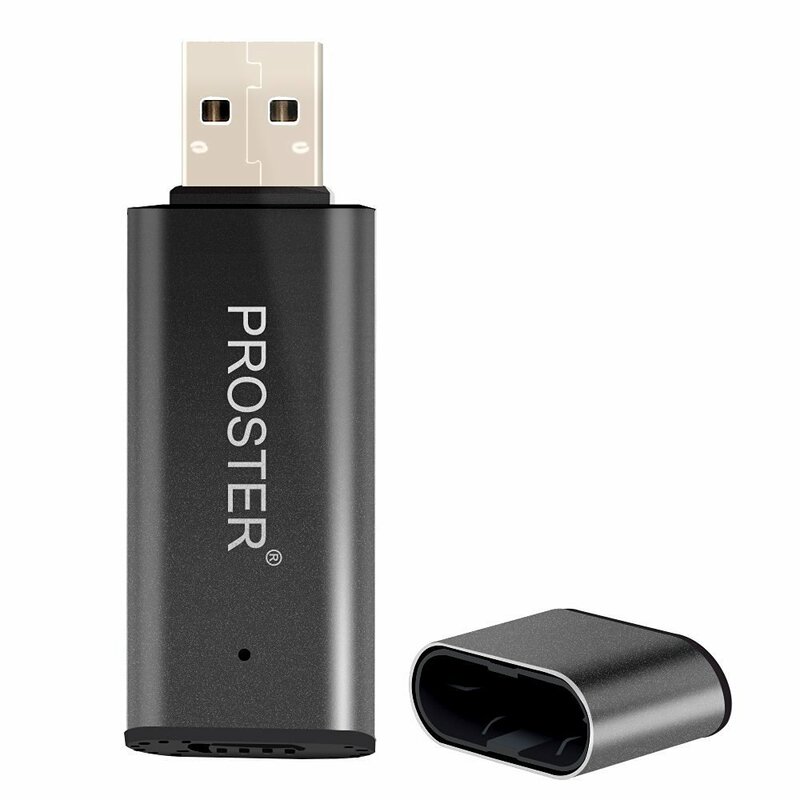 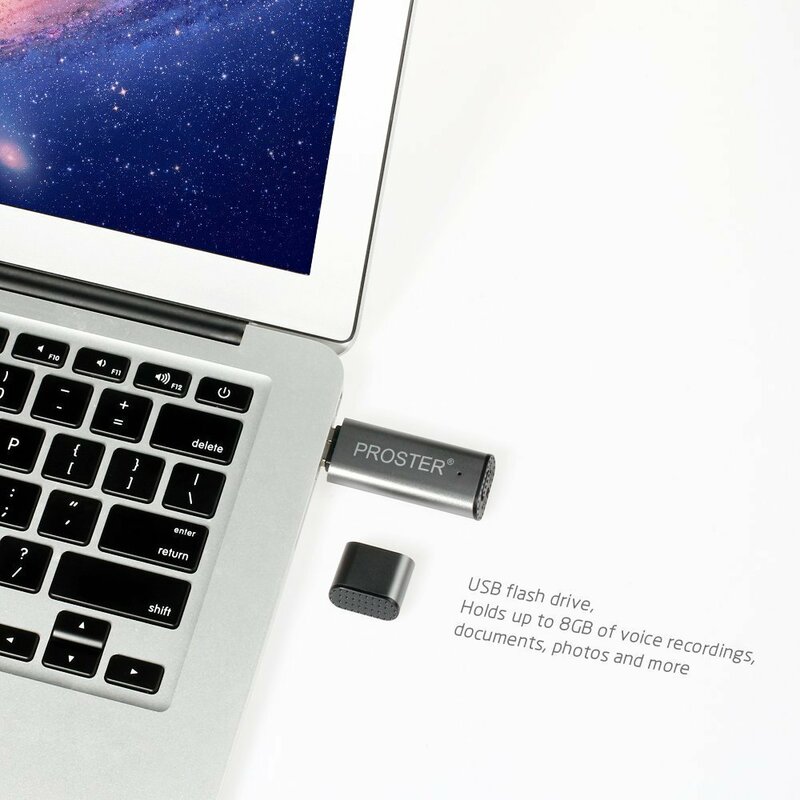 This Proster Mini USB Voice Recorder is easy to record, just pushing the button to "ON", One Key to Record, no software or drivers required, perfect for your daily life or study.